Born eleven years after his parents' wedding, Francis was named for his grandfather, King Francis I and uncle. 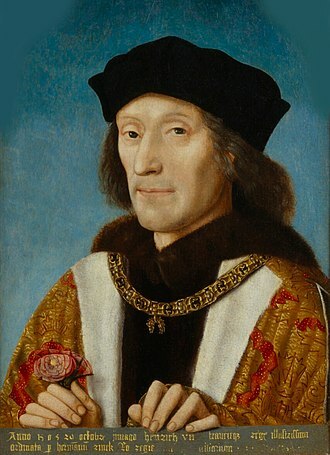 The long delay in producing an heir may have been due to his father's repudiation of his mother in favour of his mistress Diane de Poitiers, however this repudiation was negated by Diane's insistence that Henry spend his nights with Catherine. 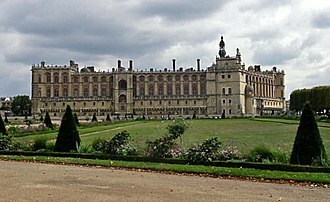 Francis was at first raised at the Château de Saint-Germain-en-Laye. He was baptised on 10 February 1544 at the Chapelle des Trinitaires in Fontainebleau. His godparents were Francis I (who knighted him during the ceremony), Pope Paul III, and his great-aunt Marguerite de Navarre. He became governor of Languedoc in 1546, and Dauphin of France in 1547, when his grandfather Francis I died. Francis's governor and governess were Jean d'Humières and Françoise d'Humières, and his tutor was Pierre Danès, a Greek scholar originally from Naples. He learned dancing from Virgilio Bracesco and fencing from Hector of Mantua. 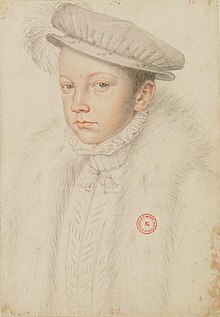 King Henry II, his father, arranged a remarkable betrothal for his son to Mary, Queen of Scots, in the Châtillon agreement of 27 January 1548, when Francis was only four years old. Mary had been crowned Queen of Scots in Stirling Castle on 9 September 1543 at the age of nine months following the death of her father James V. Besides being the queen of Scotland, Mary was a granddaughter of Claude, Duke of Guise, a very influential figure at the court of France. Once the marriage agreement was formally ratified, the six-year-old Mary was sent to France to be raised at court until the marriage. Although Mary was tall for her age and eloquent, her betrothed Francis was abnormally short and stuttered. Henry II commented that "from the very first day they met, my son and she got on as well together as if they had known each other for a long time". On 24 April 1558, the fourteen-year-old Dauphin married the Queen of Scots in Notre Dame Cathedral in Paris. It was a union that could have given the future kings of France the throne of Scotland and also a claim to the throne of England through Mary's great grandfather, King Henry VII of England. As a result of the marriage, Francis became King Consort in Scotland until his death. The marriage produced no children, possibly due to Francis' illnesses or his undescended testicles. A little over a year after his marriage, on 10 July 1559, Francis became king at the age of fifteen upon the death of his father Henry II, who had been killed in a jousting accident. On 21 September 1559, Francis II was crowned king in Reims by his uncle Charles, Cardinal of Lorraine. The crown was so heavy that nobles had to hold it in place for him. 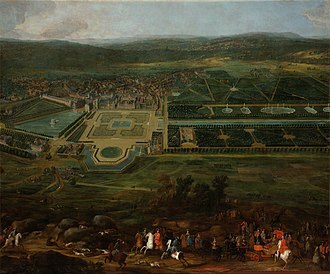 The court then moved to the Loire Valley, where the Château de Blois and the surrounding forests were the new king's home. Francis II took the sun for his emblem and for his mottoes Spectanda fides (This is how faith should be respected) and Lumen rectis (Light for the righteous). According to French law, Francis at the age of fifteen was an adult who in theory did not need a regent. But since he was young, inexperienced, and in fragile health, he delegated his power to his wife's uncles from the noble House of Guise: Francis, Duke of Guise, and Charles, Cardinal of Lorraine. His mother, Catherine de' Medici, agreed to this delegation. On the first day of his reign, Francis II instructed his four ministers to take orders from his mother, but since she was still in mourning for the loss of her husband, she directed them to the House of Guise. The two eldest brothers of the House of Guise had already had major roles in the reign of Henry II. 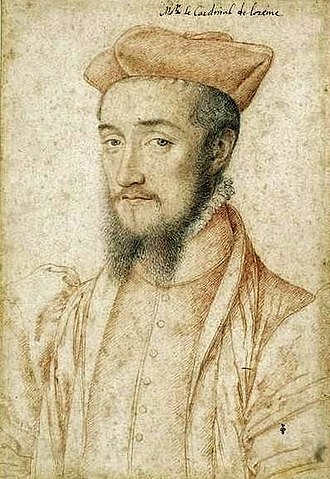 Francis, Duke of Guise, was one of the most famous military commanders in the royal army, and the Cardinal of Lorraine had participated in the most important negotiations and matters of the kingdom. After the young king ascended the throne, the two brothers split the custody of the kingdom: Francis became head of the army and Charles the head of finance, justice, and diplomacy. The rise of the House of Guise worked to the detriment of its old rival, Anne de Montmorency, Constable of France. At the new king's suggestion, he left the court for his estates to get some rest. Diane de Poitiers, the mistress of the previous king, was also asked not to appear at court. Her protégé Jean Bertrand had to surrender his title Keeper of the Seals of France to chancellor François Olivier, whom Diane had removed from this position a few years earlier. It was a palace revolution. The transition has been described as brutal, but while it no doubt caused the Constable considerable frustration, there were no confrontations or reprisals. Anne de Montmorency remained tied to power. As soon as the day after the death of the king, he was present at the council meeting and was also at the coronation. Later he supported the repression of the Amboise conspiracy of 1560, notably by going to the Parlement of Paris to communicate to its members the measures taken by the king. In July 1560 he came back to court and to the council, although in a much less flamboyant manner than before. The Guises were now the new masters of the court. The king granted them numerous favours and privileges, one of the most significant being the title of Grand Master of France, a title until then held by the son of the Constable, François de Montmorency. The reign of Francis II was dominated by religious crisis. His unpopular and repressive policy toward Protestantism motivated the Amboise conspiracy, in which certain Protestant leaders attempted a coup d'état against the king and the House of Guise. Due to growing discontent, the government tried conciliation. Under the influence of Catherine de' Medici, it started a dialogue with the proponents of this relatively new movement, while remaining implacable towards agitators. Until the end of his reign, the French kingdom was paralysed by local revolts. He reacted by becoming more authoritarian. Francis of Lorraine, Duke of Guise. Pencil portrait by François Clouet. From the beginning of their regency, the Guises faced deep discontent throughout the kingdom. The opposition was led by two Princes of the Blood who contested their power and their decisions as rulers. The Guises were seen by many as lacking legitimacy. To their adversaries, they were merely ambitious foreigners from Lorraine. 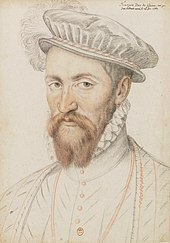 Their father Claude, Duke of Guise, was the son of René II, Duke of Lorraine, who had been accorded French citizenship by King Francis I, his military companion. The main criticism against the Guises was that they were taking advantage of the king's youth to wield power arbitrarily. An opposition movement led by the Prince of the Blood Antoine of Navarre, King of Navarre, contested their power. Some theorists, such as François Hotman, believed that the law entitled the latter to be the king's senior adviser since he was a descendant of Louis IX of France and thus an heir to the throne if the House of Valois then in power disappeared. However, Antoine failed to prevail against the Guises when he came to court. The political decisions of the government were also contested. The Guises faced a disastrous financial situation. 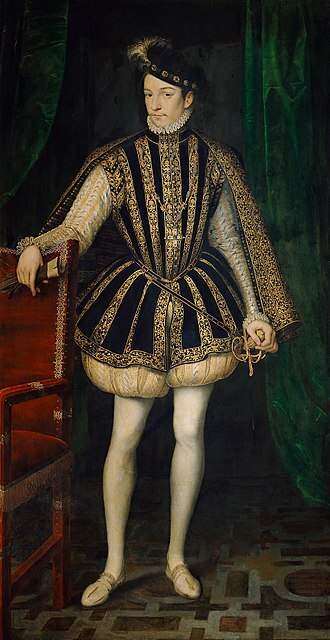 After decades of wars against the House of Habsburg, the public debt stood at 48 million livres, while the king had only 12 million livres in annual income. The Guises implemented a policy of austerity intended to improve the country's financial situation, but this contributed mightily to their unpopularity. They also delayed paying military personnel, the king's officials, and court suppliers. They reduced the size of the army, and many soldiers became unemployed. Frustrations mounted at court, as the cutbacks spared the regiments under the control of the Guises and their friends. In religion, the Guises increased the repression of Protestantism started by King Henry II. The autumn of 1559 saw a wave of house searches, arrests, and asset forfeitures. On 23 December 1559, the counsellor-clerk Anne du Bourg, magistrate at the Parlement of Paris, which had contested the repression, was publicly executed in Paris at the Place de Grève. Determined to stop the persecution and have Protestantism officially recognised, a group of noblemen planned the Amboise conspiracy to overthrow the government and give power to the Princes of the Blood, who supported the new religion. The conspirators planned to take over the palace with the help of the royal guard, abduct the king, then eliminate the Guises if they offered any resistance. A substantial external military deployment was intended to secure the operation. The conspirators also most likely had the secret support of Louis, Prince of Condé, the ambitious younger brother of King Antoine of Navarre. During February 1560, the court received multiple warnings about the conspiracy. Due to that threat, the royal council decided, under the influence of Queen Catherine de' Medici, to make some concessions. On 8 March 1560, the king signed an edict granting general amnesty to Protestants. But it was too late; the conspiracy was already under way. From all parts of the kingdom, troops were on their way to the Château d'Amboise, where the court was in residence. In the cities of Tours and Orléans, they received money and weapons from the conspirators. The poorly organised conspiracy ended in a bloodbath. Its outcome was determined as early as 15 March when Jacques, Duke of Nemours, arrested some of the primary conspirators. Over the following days disorientated troops, mostly peasants, were arrested one by one in and around the forest of Amboise. The king was at first inclined to leniency. 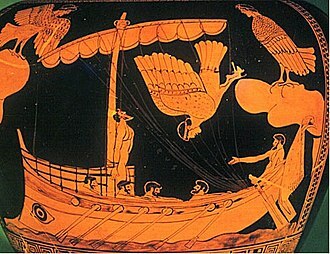 He freed them and ordered them to return to their homes. But on 17 March, two hundred men tried to storm one of the city gates at the foot of the castle. Quickly repelled by the Duke of Guise, these rebels were unmercifully pursued. 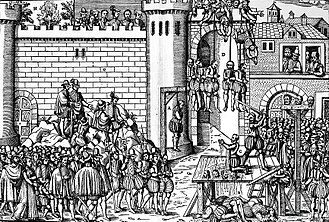 More than a hundred were executed, some even hanged from the ramparts of the castle. The retaliation continued for several weeks, and almost twelve hundred people died. The Guises were less certain how to handle the Prince of Condé. He had arrived at court during the uprising and helped to defend the castle. Interrogation of prisoners clearly placed him as the conspiracy's beneficiary, but the word of commoners did not count against that of a Prince of the Blood. Irrefutable written proof was needed to accuse him. Since he was still free, Condé left the court to meet his brother Antoine in the south-west. 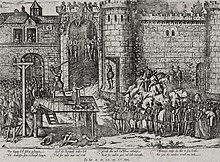 The outburst of violence caused by the Amboise conspiracy made the court decide that persecuting Protestants only made the religious crisis worse. Under the influence of Catherine de Médicis and the members of the royal council, the government tried to ease tensions with a policy of conciliation. Clemency towards Protestants became policy. Public assemblies were still prohibited, but the government released all religious prisoners. This was the first easing of religious persecution since the reign of Henry II. An edict signed at Romorantin in May 1560 was the beginning of the right to freedom of conscience in France. 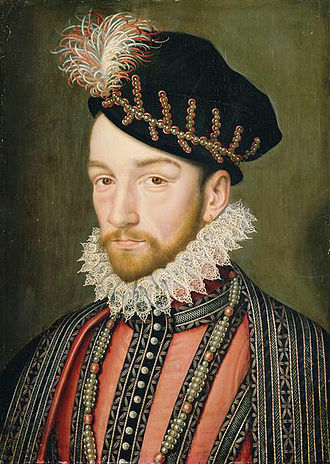 In April 1560, the Queen Mother had Michel de l'Hôpital named Lord Chancellor of France. The government was then dominated by "averagers", humanists convinced that reconciliation among Christians was possible, based on reciprocal concessions. Charles, Cardinal of Lorraine, was himself open to church reform. An ecumenical council for the church of France was officially proposed: instead of gaining the consent of Pope Pius IV, the cardinal and the Queen Mother called for a general council in which Christians of all opinions and from all over Europe would meet to reform the religion. The Pope opposed this. Even though they did not want to split from Rome, the Pope's opposition led them to threaten a national council if he did not agree. 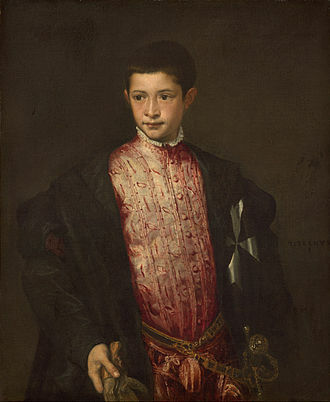 To mitigate criticism of the king based on his youth, the government tried to win him approval by communicating his decisions themselves. A gathering of the Estates General was suggested, but, fearing that they would be evicted due to their unpopularity, the Guises strongly opposed this. Under pressure from the Queen Mother, the Guises agreed to consult with the notables: this led to a meeting of the Assembly of Notables at Fontainebleau from 21 August to 26 August. The Princes of the Blood and the Constable were asked to attend and to resume their roles in the king's council. During this assembly, the Admiral of Coligny, future head of the Protestants, had a petition from Norman Protestants read before an amazed court that asked for freedom of religion. The assembly closed by convening the Estates General. Highly critical of the Pope, the Assembly of Notables also decided to gather France's bishops to obtain their consent for a national council. Afraid to see gallicanism slip out of his control, the Pope eventually agreed to a general council, but rejected the attendance of any Protestant, as demanded by the French government. This decision led to the re-opening of the Council of Trent. The government's conciliation policy was intended to ease tensions, but had the opposite effect. Encouraged by the government's leniency, Protestants continued to congregate for religious services. Although law officials intervened to disperse them and to imprison the organizers, the growing numbers of participants, which sometimes exceeded a thousand, made it impossible to accomplish this for lack of resources. Some were even won over to the new religion. In some places Protestants challenged royal authority with riots and armed rebellions. The unrest that had started sporadically during the Amboise conspiracy spread over the summer throughout the kingdom. The main areas of opposition spanned a crescent-shaped territory from Anjou to Dauphiné and included the regions of Poitou, Guyenne, Périgord, Languedoc, and Provence. The rioters frequently had the support of local notables. Motivated by fierce propaganda against the Guises, and seeking revenge for the stamping out of the Amboise conspiracy, the boldest attacked castles, jails, and churches. During the spring of 1560, the kingdom experienced the first major events of iconoclasm in Provence. During the summer, the civil disobedience movement gained intensity; several cities in southern France were in revolt. With the secret support of the two Princes of the Blood, Condé and Navarre, a political-military organisation gradually developed. Protestants elected local leaders, raised money, bought weapons, and formed militias. Armed gangs from Languedoc went to Provence and Dauphiné, which Paul de Mouvans and Charles de Montbrun were trying respectively to enlist into the insurrection. The climax came during the night of 4 and 5 September, when Protestant militias tried to take over the city of Lyon. The king's reaction was fierce and determined: he mobilised his troops, sent the army to the rioting areas, and ordered governors to return to their positions. By autumn, order was slowly restored. Convinced that the Prince of Condé was responsible for the uprising, the king summoned him to court and had him arrested on 31 October 1560. In foreign policy, Francis II continued peace efforts begun by Henry II with the signing of the Peace of Cateau-Cambrésis in April 1559, which ended 40 years of war between France and the Habsburg empire. At the expense of its influence in Europe, France continued to restore lands conquered over the previous 40 years. 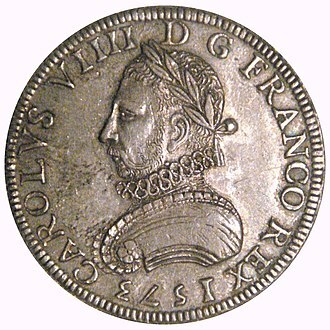 In this sense, the reign of Francis II began the decline of French influence throughout Europe, to the benefit of Spain. 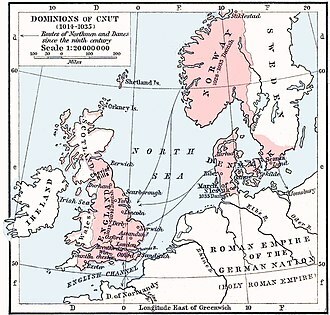 When King Henry II died, the restitution of these territories was well under way. Francis II, aware of the kingdom's weaknesses, reassured Spain of its intention to fulfill the treaty just signed. The Maréchal de Brissac, who displayed some unwillingness to evacuate Piedmont, was asked to change his behaviour and accelerate the withdrawal. By the autumn of 1559, France had completely left Savoy, and Piedmont, except for the five locations agreed upon in the Peace of Cateau-Cambrésis. If these were returned to the Duke of Savoy Emmanuel Philibert, Montferrat would be returned to Guglielmo Gonzaga, Duke of Mantua. Both were allies of Spain. Finally, Valenza, which Brissac was grumbling about releasing, was to be returned to the Spanish Duchy of Milan. On the Spanish side, King Philip II showed some unwillingness to return four locations in the north-east of the kingdom as required by the treaty. Border disputes renewed tensions between the two nations, but after months of protests Francis II finally obtained these territories. 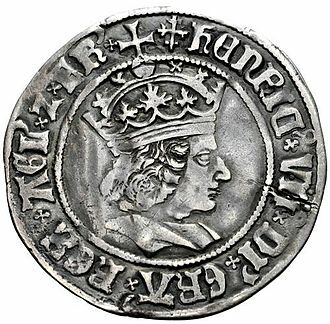 Along with restitution of territories, the government of Francis II had to negotiate, pay, or claim compensations for people whose properties were taken or destroyed during the war. It also had to reach an agreement with Spain regarding the prisoners of war held by both sides. Many noblemen were still prisoners and unable to pay their ransom. Common soldiers were consigned to use as rowers on the royal galleys. Even after a reciprocal release compromise was signed, Spain was not eager to lose its prisoners. When Francis II died, France withdrew from Scotland, Brazil, Corsica, Tuscany, Savoy and most of Piedmont. With the marriage of Francis II and Mary Stuart, the future of Scotland was linked to that of France. A secret clause signed by the queen provided that Scotland would become part of France if the royal couple did not have children. The queen's mother, Marie of Guise, was already regent for Scotland. Because of French control over their country, a congregation of Scottish lords organised an uprising and made the regent and her French councils leave the capital, Edinburgh, in May 1559. Having taken refuge at the fortress of Dunbar, Marie of Guise asked France for help. Francis II and Mary Stuart sent troops right away. By the end of 1559, France had regained control of Scotland. 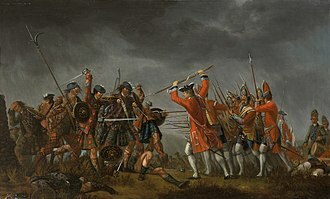 Nothing seemed to stand in the way of France controlling Scotland apart from English support for the uprising of the Scottish nobles. 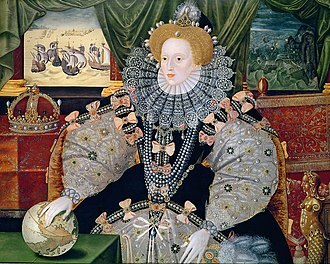 Queen Elizabeth I of England was still offended that Francis II and Mary Stuart had put on their coat of arms those of England, thus proclaiming Mary's claims on the throne of England. In January 1560, the English fleet blockaded the port of Leith, which French troops had turned into a military base. 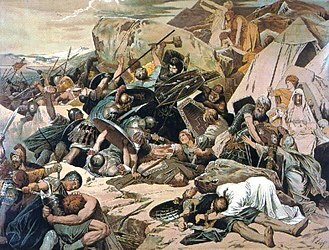 They were supported by the arrival in April of 6000 soldiers and 3000 horsemen, which began the siege of the city. Just as English troops were not particularly successful, the French troops found themselves in a better strategic position. But the poor financial situation of the French government and internal turmoil in the French kingdom prevented any military reinforcements from being sent. When the Bishop of Valence and Charles de La Rochefoucault, sieur of Randan, sent by the king to negotiate, arrived in Scotland, they were treated almost like prisoners. With Marie of Guise shut up in an Edinburgh fortress, the two men were forced to negotiate a peace that was disadvantageous to France. On 6 July 1560, they signed the Treaty of Edinburgh, which ended French occupation of Scotland. Francis II and Mary Stuart had to withdraw French troops and stop displaying England's arms. A few weeks later, Scotland's parliament established Protestantism as the state religion. When Francis II and Mary Stuart were presented with the Treaty of Edinburgh, they were outraged and refused to sign it; they also challenged the legitimacy of the Scottish parliament's decision. Francis II died in Orléans, at the hôtel Groslot. The health of the king deteriorated in November 1560. On 16 November he collapsed having suffered a syncopal episode. After only 17 months on the throne, Francis II died on 5 December 1560 in Orléans, Loiret, from an ear condition. Multiple diseases have been suggested, such as mastoiditis, meningitis, or otitis exacerbated into an abscess. Ambroise Paré, the royal surgeon, considered performing a trepanation. Some suspected Protestants of having poisoned the king, a view held by Catholics as the tensions between them and Protestants were on the rise; however, this has not been proven. Francis II died childless, so his younger brother Charles, then ten years old, succeeded him. On 21 December, the council named Catherine de Médici as Regent of France. 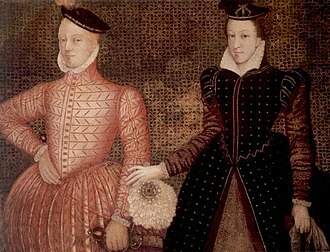 The Guises left the court, while Mary Stuart, Francis II's widow, returned to Scotland. 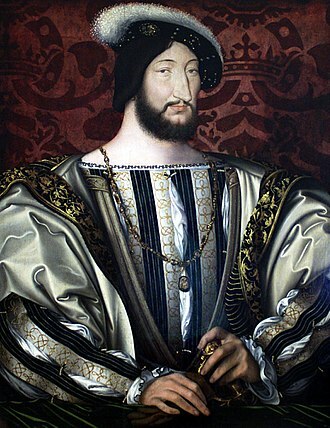 Louis, Prince of Condé, who was jailed and awaiting execution, was freed after some negotiations with Catherine de Médici. On 23 December 1560, the body of Francis II was interred in the Basilica of Saint-Denis by the Prince of La Roche-sur-Yon. Francis II had a brief reign. He became king as an inexperienced teenager, at a time when the kingdom was struggling with religious troubles. 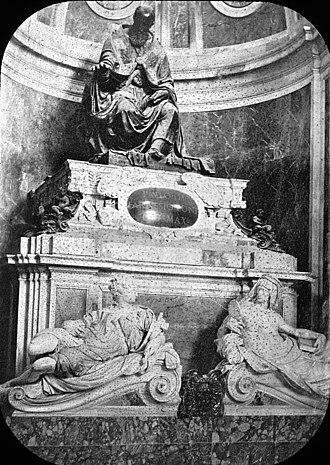 Historians agree that Francis II was fragile, both physically and psychologically, and his frail health led to his early death. The question of whether his marriage was consummated or not remains unanswered. Francis II is one of the main characters on the CW show, Reign. He is portrayed by British actor Toby Regbo. ^ a b Wellman 2013, p. 200. ^ Also Négociations, lettres et pièces diverses relatives au règne de François II, tirées du portefeuille de Sébastien de l'Aubespine, éveque de Limoges, Paris Louis, Paris, imprimerie royale, « Collection de documents inédits sur l’histoire de France », 1841, p. 67–68, p. 132–136, p. 243–257, p. 506. ^ Jacques-Auguste de Thou, Histoire universelle, tome second, La Haye, 1742 p. 742–746. ^ Potter, Philip J. (2012-03-08). Monarchs of the Renaissance: The Lives and Reigns of 42 European Kings and Queens. McFarland. ISBN 9780786491032. ^ "CW orders 3 new sci-fi shows". Entertainment Weekly's EW.com. Retrieved 12 December 2016. ^ a b Anselme (1726), pp. 131–132. ^ a b c d e f Whale (1914), p. 43. ^ a b c d Anselme (1726), pp. 210–211. ^ a b Anselme (1726), pp. 126–128. ^ a b c d Tomas (2003), p. 7. ^ a b Anselme (1726), p. 209. ^ a b Anselme (1726), pp. 207–208. ^ a b Anselme (1726), pp. 463–465. ^ a b Tomas (2003), p. 20. ^ a b Anselme (1726), p. 324. Christin, Olivier (1991). Une révolution symbolique : l'iconoclasme huguenot et la reconstruction catholique. Le sens commun. Paris: Éditions de Minuit. ISBN 9782707313911. Cloulas, Ivan (1985). Henri II. Paris: Fayard. ISBN 9782213013329. Cuisiat, Daniel, ed. (1998). Lettres du cardinal Charles de Lorraine (1524–1574). Travaux Humanisme Renaissance. Geneva: Droz. ISBN 9782600002639. Duchein, Michel (1998). Histoire de l'Écosse. Paris: Fayard. ISBN 9782213602288. Duchein, Michel (1985). Élisabeth Ire d'Angleterre. Paris: Fayard. ISBN 9782213639659. Farquhar, Michael (2001). A Treasure of Royal Scandals: The Shocking True Stories History's Wickedest, Weirdest, Most Wanton Kings, Queens, Tsars, Popes, and Emperors. New York: Penguin Books. ISBN 0-7394-2025-9. Guy, John (2004). My Heart is My Own. London: Fourth Estate. ISBN 9781841157528. Jouanna, Arlette, ed. (1998). Histoire et dictionnaire des guerres de religion, 1559–1598. Robert Laffont. Marchand, Charles (1889). Charles Ier de Cossé, comte de Brissac et maréchal de France, 1507–1563. Paris: E. Champion. Mariéjol, Jean-Hippolyte (1979) . Catherine de Médicis. Tallandier. Rahlenbeck, Charles (1881). Metz et Thionville sous Charles-Quint. Paris: Sandoz et Fischbaker. Romier, Lucien (1923). La Conjuration d'Amboise. L'aurore sanglante de la liberté de conscience, le règne et la mort de François II. Paris: Perrin. Romier, Lucien (1974) . Les origines politiques des guerres de religion. II. Geneva: Slatkine-Megariotis. de Ruble, Alphonse (1882). Antoine de Bourbon et Jeanne d'Albret, suite de Le mariage de Jeanne d'Albret. 2. Paris: Adolphe Labitte. de Ruble, Alphonse (1889). Le traité de Cateau-Cambrésis (2 et 3 avril 1559). Paris: Éditions Labitte & Émile-Paul. Stirling Castle, located in Stirling, is one of the largest and most important castles in Scotland, both historically and architecturally. The castle sits atop Castle Hill, a crag, which forms part of the Stirling Sill geological formation. It is surrounded on three sides by cliffs, giving it a strong defensive position. Its strategic location, guarding what was, until the 1890s, most of the principal buildings of the castle date from the fifteenth and sixteenth centuries. A few structures of the fourteenth century remain, while the outer defences fronting the town date from the eighteenth century. Before the union with England, Stirling Castle was one of the most used of the many Scottish royal residences, several Scottish Kings and Queens have been crowned at Stirling, including Mary, Queen of Scots, in 1542, and others were born or died there. Stirling Castle is a Scheduled Ancient Monument, and is now a tourist attraction managed by Historic Scotland and it is likely that this natural feature was occupied at an early date, as a hill fort is located on Gowan Hill, immediately to the east. The Romans bypassed Stirling, building a fort at Doune instead, the area came under Pictish control after the defeat of the Northumbrians at the Battle of Dun Nechtain thirty years later. However, there is no evidence for occupation of Castle Hill before the late medieval period. Other legends have been associated with Stirling, or Snowdoun as it was more poetically known, boece is, considered an unreliable historian. Another chronicler, William Worcester, associated Stirling with the court of the legendary King Arthur, the first record of Stirling Castle dates from around 1110, when King Alexander I dedicated a chapel here. It appears to have been a royal centre by this time. 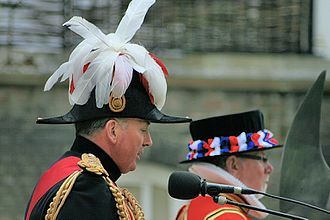 During the reign of his successor David I, Stirling became a burgh. There is no evidence that the English actually occupied the castle, Stirling continued to be a favoured royal residence, with William himself dying there in 1214, and Alexander III laying out the New Park, for deer hunting, in the 1260s. Stirling remained a centre of administration until the death of Alexander III in 1286. The Scottish Reformation was the process by which Scotland broke with the Papacy and developed a predominantly Calvinist national Kirk, which was strongly Presbyterian in outlook. It was part of the wider European Protestant Reformation that took place from the sixteenth century, in the earlier part of the sixteenth century, the teachings of Martin Luther began to influence Scotland. Particularly important was the work of the Lutheran Scot Patrick Hamilton and his death in 1542 left the infant Mary, Queen of Scots as his heir, allowing a series of English invasions known as the Rough Wooing. The English supplied books and distributed Bibles and Protestant literature in the Lowlands when they invaded in 1547, the execution of the Zwingli-influenced George Wishart in 1546, who was burnt at the stake on the orders of Cardinal David Beaton, stimulated the growth of these ideas in reaction. The survivors, including chaplain John Knox, were condemned to serve as galley slaves and their martyrdom stirred resentment of the French and inspiring additional martyrs for the Protestant cause. In 1549, the defeat of the English with French support led to the marriage of Mary to the French dauphin, the Scottish Reformation Parliament of 1560 adopted a Protestant confession of faith, rejecting papal jurisdiction and the mass. Knox, having escaped the galleys and having spent time in Geneva, the Calvinism of the reformers led by Knox resulted in a settlement that adopted a Presbyterian system and rejected most of the elaborate trappings of the Medieval church. When her husband Francis II died in 1560, the Catholic Mary returned to Scotland to take up the government and her six-year personal reign was marred by a series of crises, largely caused by the intrigues and rivalries of the leading nobles. Opposition to her third husband Bothwell led to the formation of a coalition of nobles, who captured Mary and forced her abdicate in favour of her son, James was brought up a Protestant, but resisted Presbyterianism and the independence of the Kirk. The Reformation resulted in changes in Scottish society. These included a desire to plant a school in every parish, scotlands ecclesiastical art paid a heavy toll as a result of Reformation iconoclasm. Native craftsmen and artists turned to secular patrons, resulting in the flourishing of Scottish Renaissance painted ceilings, the Reformation had a severe impact on church music, with song schools closed down, choirs disbanded, music books and manuscripts destroyed and organs removed from churches. These were replaced by the singing of psalms, despite attempts of James VI to refound the song schools. The Kirk became the subject of pride and many Scots saw their country as a new Israel. Christianity spread in Scotland from the century, with evangelisation by Irish-Scots missionaries and, to a lesser extent. The whole Ecclesia Scoticana, with individual Scottish bishoprics, became the daughter of the see of Rome. It was run by special councils made up of all the Scottish bishops, the administration of parishes was often given over to local monastic institutions in a process known as appropriation. Charles IX was a monarch of the House of Valois who ruled as King of France from 1560 until his death. He ascended the throne of France upon the death of his brother Francis II, after decades of tension, war broke out between Protestants and Catholics after the massacre of Vassy in 1562. 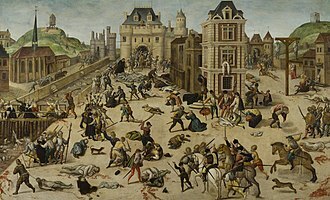 This event, known as the St. Bartholomews Day Massacre, was a significant blow to the Huguenot movement, Charles sought to take advantage of the disarray of the Huguenots by ordering the Siege of La Rochelle, but was unable to take the Protestant stronghold. He died without male issue in 1574 and was succeeded by his brother Henry III. He was born Charles Maximilian, third son of King Henry II of France and Catherine de Medici, in the royal chateau of Saint-Germain-en-Laye. Styled since birth as Duke of Angoulême, he was created Duke of Orléans after the death of his older brother Louis, his parents second son, on 14 May 1564, Charles was presented the Order of the Garter by Henry Carey. 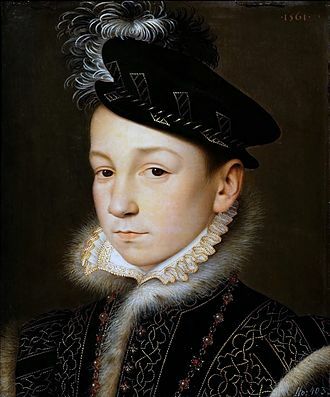 His father died in 1559, and was succeeded by his elder brother, after Franciss short rule, the ten-year-old Charles was immediately proclaimed king on 5 December 1560. 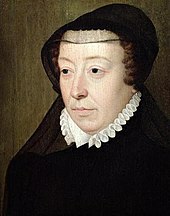 When Francis II died, the Privy Council appointed his mother, Catherine de Medici, as governor of France, with sweeping powers, on 15 May 1561, Charles was consecrated in the cathedral at Reims. Antoine of Bourbon, himself in line to the French throne, Charles reign was dominated by the French Wars of Religion, which pitted various factions against each other. Queen Catherine, though nominally a Catholic, initially tried to steer a course between the two factions, attempting to keep the peace and augment royal power. The regent Catherine tried to foster reconciliation at the Colloquy at Poissy and, after that failed, made several concessions to the Huguenots in the Edict of Saint-Germain in January 1562. Nonetheless, war broke out when some retainers of the House of Guise, hoping to avenge the attempt of Amboise, in return, the monarchy revoked the concessions given to the Huguenots. After the military leaders of both sides were killed or captured in battles at Rouen and Orléans. The war was followed by four years of an armed peace. Languedoc is a former province of France. Its territory is now contained in the region of Occitanie in the south of France. It had an area of approximately 27,376 square kilometers, the traditional provinces of the kingdom of France were not formally defined. A province was simply a territory of common traditions and customs, when people refer to the old provinces of France, they actually refer to the gouvernements as they existed in 1789. Gouvernements were military regions established in the middle of the 16th century, however, in some cases, small provinces had been merged with a large one into a single gouvernement, so gouvernements are not exactly the same as the traditional provinces. Historically, the region was called the county of Toulouse, a county independent from the kings of France. The county of Toulouse was made up of what would be called Languedoc, but it included the province of Quercy. After the French conquest the entire county was dismantled, the part of it being now called Languedoc. The gouvernement of Languedoc was created in the middle of the 16th century, in addition to Languedoc proper, it included the three small provinces of Gévaudan and Vivarais, these three provinces being to the northeast of Languedoc. Some people consider that the region around Albi was a province, called Albigeois. This decision was intentional, to avoid reviving the independently spirited county of Toulouse. In the rest of the article, Languedoc refers to the territory of this gouvernement of Languedoc, the governors of Languedoc resided in Pézenas, on the Mediterranean coast, away from Toulouse but close to Montpellier. The kings of France became fearful of the power of the governors, thus the gouvernements became hollow structures, but they still carried a sense of the old provinces, and so their names and limits have remained popular until today. The generality of Toulouse is referred to as Upper Languedoc, while the generality of Montpellier, the intendants of Languedoc resided in Montpellier, and they had a sub-delegate in Toulouse. Diane de Poitiers was a French noblewoman and a prominent courtier at the courts of king Francis I and his son, King Henry II of France. She became notorious as King Henrys favourite, because of this, she wielded much influence and power at the French Court, which continued until Henry was mortally wounded in a tournament accident. It was during this tournament that his lance wore her favour rather than his wifes, the subject of paintings by François Clouet as well other anonymous painters, Diane was immortalised in a statue by Jean Goujon. She was born the daughter of Jean de Poitiers, Seigneur de Saint Vallier and Jeanne de Batarnay. When still a girl, she was briefly in the retinue of Anne de Beaujeu, eldest sister of King Charles VIII, Diane was educated according to the principles of Renaissance humanism, in music, manners, the art of conversation, and dancing. She learned how to read Latin and Greek, and became a hunter and sportswoman. At the age of 15, she married Louis de Brézé, seigneur dAnet and he was a grandson of King Charles VII who served as a courtier of King Francis I. She bore him two daughters, Françoise de Brézé and Louise de Brézé, in 1524, her father Jean, was accused of treason as an accomplice of the rebellious Connétable de Bourbon. His death sentence was commuted, but he would be confined to prison until the Treaty of Madrid in 1526. When Louis de Brézé died in 1531 in Anet, Diane adopted the habit of wearing the colours of black and white, her personal trademark for the rest of her life. These were among the permitted colours of mourning, which as a widow she was required to wear and they played on her name, which derived from Diana, the name of the beautiful Roman goddess of the moon. Her keen interest in matters and legal shrewdness became apparent for the first time during this period. She retained her late husbands emoluments as governor and grand-sénéchal of Normandy and she challenged in court, the obligation to return Louis de Brézés appanages to the royal domain. The king allowed her to enjoy the income until the status of those lands has been totally clarified. The Oval Courtyard, with the Medieval donjon, a vestige of the original castle where the King's apartments were located, in the center. The Gallery of Francis I, connecting the King's apartments with the chapel, decorated between 1533 and 1539. 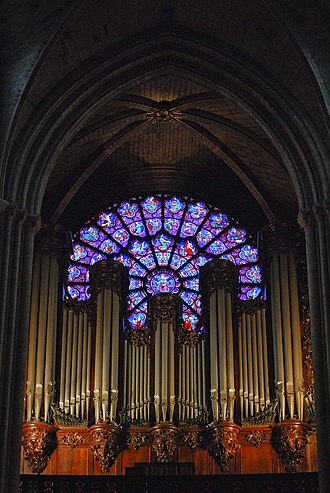 It introduced the Italian Renaissance style to France. 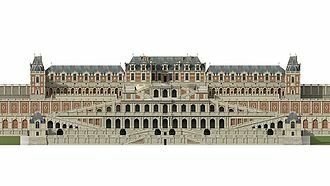 The horseshoe stairway was originally built for Henry II by Philibert de l'Orme between 1547–59, then rebuilt for Louis XIII by Jean Androuet du Cerceau in about 1632-34. The painting A Lady in Her Bath by François Clouet possibly depicts Diane de Poitiers. Interior façades in Classic, Renaissance, and Gothic styles (from left to right). The Château's most renowned feature, the spiral staircase in the François I wing. Montmorency's gisant, now on display at the Louvre. A constable of the Royal Canadian Mounted Police in full dress. Constables are typically the lowest rank in Canadian police services.